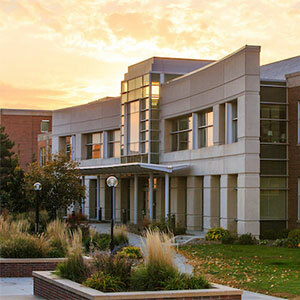 The main office of the School of Criminology and Criminal Justice is located within the College of Public Affairs and Community Service (CPACS) building located on the University of Nebraska Omaha (UNO) campus. The UNO campus is centrally located in the city of Omaha, Nebraska. The CPACS building can be found just east of the Barbara Weitz Community Engagement Center on Maverick Plaza. The School of Criminology and Criminal Justice is located in the CPACS building. The GPS address for the University of Nebraska Omaha campus is 6001 Dodge Street. From Dodge Street turn onto University Drive West, then left onto University Drive North. From Dodge Street turn onto University Drive East, then right onto University Drive North. Maps of the Dodge and Scott campuses can be found here. You can use Google Maps to find your bicycling, walking, or bus route. Just type in your starting location and destination and choose the appropriate icon to get directions. The Omaha Metro bus route is available online. #2 bus makes stops every 15-20 minutes on Dodge Street, in front of the Community Engagement Center. #11 passes close by on Leavenworth Street with a 15-minute walk through Elmwood Park to campus. #15/55 operates frequently on Center Street—you can walk from there or pick up a Maverick shuttle near 67th & Pine which will drop you off next to the Community Engagement Center on the Dodge Campus. There are designated lots on the UNO campus for students and faculty. Visitors can view a map to find designated parking areas. Student parking areas are designated by the red parking lot signs, and Faculty/Staff parking areas are designated by the green parking lot signs. Visitors may park in the East Garage on University Drive East after 12:30 for a $2 entry fee, or receive a one-day parking permit from Parking Services. Handicap parking is also available on campus. Please visit the Parking Services page for more information about campus parking, permits and remote parking services.